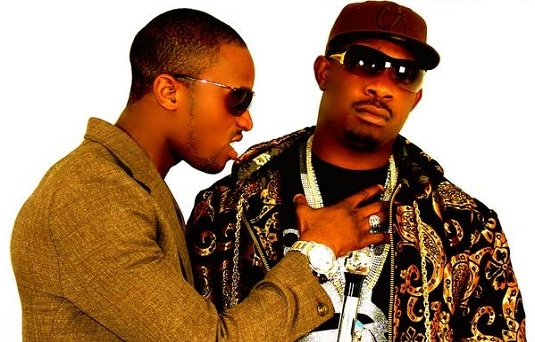 This whole story is clumsy – so clumsy that even the artistes under the Mo’ Hits label (one of whom we have spoken to on condition of anonymity) are not exactly clear what is going on; unless this particular artiste is part of the cast in a complex mind game produced and directed by Don Jazzy and D’banj. Yes, YNaija had reported (See the report HERE) on rumblings in the house of Mo’Hits as far back as two weeks ago, and this past week we were the first to draw attention to the infamous Ebony interview (See the interview HERE) but if anything, rather than become clear over the past few weeks, the story has become more muddled up. Then yesterday, the chief executive officer came on Twitter and appeared to confirm the break-up (See that story HERE). 1. Why did Don Jazzy release a statement via tweets? Yes, he is a fantastic tweeter and that has been his preferred mode of communication (his apology to rappers, his repudiation of President Goodluck Jonathan etc) but if he has just undergone a significant professional break up with his partner, will they not have chosen a more formal means of once-and-for-all clearing the air, especially with international music labels involved? 2. What does the “end of a long era and beginning of a new one” mean? Ladies and gentlemen, this can mean anything. It can mean Mo’Hits is now part of GOOD music, it can mean Don Jazzy is moving to America – it is statement so ambiguous that it is almost ridiculous to say it means Mo’ Hits is breaking up. 3. If indeed our good man has broken up with D’banj, why not just say – “It is true that I have broken up with D’banj” or “It is true that Mo’Hits has undergone a restructuring and has let go of an artiste” or something that is clear and unambiguous. Again, nothing that Don Jazzy has said in any way clearly states that Mo’Hits has broken. Heck, he didn’t even mention the name “Mo’Hits”! 4. All we have is circumstantial evidence – all we have are hints and suggestions pieced together to prove something we all suspect. Are two brilliant young men stringing the public and media along? Unlikely and counter-productive, but not impossible. Yes, D’banj had that clumsy interview and then he withdrew his quotes, and then D’banj has been in America while the Don Jazzy has been in Nigeria, and they have not been seen at any event together lately, and then D’banj releases a video without Don Jazzy and blab la bla. True. And so what? 5. Why did D’banj have to withdraw his “I own Mo’ Hits” quote from Ebony – I mean, if you guys are breaking up, what do you care? 6. Don Jazzy says “some of the rumours you have heard” are true? This is not a careless choice of words – he deliberately chose obfuscation. So, does he mean some of the rumours are not true? Well, which part of the rumours are not true? And why won’t you just come out and say what is true or not? 8. YNaija called the Mo’ Hits manager, Sunday Are today after the Don Jazzy tweets and asked him a clear question: “Is this a confirmation of a split?” Guess what Mr. Are said “I cannot confirm anything – there is no official statement on that.” Seriously? Your boss just said on Twitter that he has split from his star performer and you still say there is no official statement? Ridiculous – unless, maybe he is right and this is not about any split. 9. Finally, what in heaven’s name does Don Jazzy mean by he will be “donating the proceeds of my production catalogue from Day till date to 5 charity organisations”? This does not make any sense. How can he just throw away the income from work he has done for the past 9 years? Dear reader, does that make any sense? In fact, is the money not already spent? Or Don Jazzy has been keeping all the income he has made from Mo’ Hits intact for the past 9 years? Or their contract says whenever he splits with D’banj, he cannot take his earnings with him? Spare me the bull. D’banj will be issuing a public statement on his own side of the story in the coming days – and that should bring some clarity. The real story is not just about a break-up – no one from the Mo’ Hits family is telling everyone the “whole truth” about this matter. Bottom line? Those two brilliant young men seem to know exactly what they are doing – which is why, apart from Don Jazzy’s tweets, no media house – online or offline – has an exact confirmation of anything for the public. Our investigations make it clear that something is wrong in the House of Mo’Hits and everything seems to point to the fact that there is a split. But Don Jazzy has confirmed nothing of such. Whether or not there is a break, I believe this is one big PR stunt. It is not coincidence that The Oliver Twist video was released in the midst of this rumor and Don Jazzy was not in the video. Even if they are breaking up, they are trying to milk the attention for all it is worth. i do not agree wit this report entirely! Thank u so much for dis! I hav been telling everyone who cares to listen – something fishy is going on! 1.Lots of us tweet random, inane, absurd, abstract things. 2. As I was bombarded with network MSgs of rt frm timeline rubberneckers. I realised donj mustve chalked up loads of Tweeps just by typing a sentence. 3. We hav no idesa if he tweeted in response to specifiq questions or comments. 4. I haven't seem one single tweet ith d word – press release and for goodness sake donj isnot obtuse enough not to give the media a generous scoop if there is proper news to be had. 5. In declaring charitable intent it detracts from his spirit of giving but demonstrates he wants to give back to the community and fans. Soon u'll hear that his twitter account was hacked. That method has been their latest trick of correcting their errors. Split or not, just keep giving me good music. This is either a well crafted ploy to toy with Nigerians or a warm up for their international new song. As they say, every press is good popularity. What ever game they are playing will in time be exposed. Question number 1 is the naivest of all your questions. We all know that not a few earthshaking pronouncements have been made via twitter. Apart from his comment about donating proceeds from his productioon catalogue from inception, which is a bit far-fetched, but which will turn him into a legend if he goes ahead with it, all other comments from the twitter "press conference" are clear enough. Silly point you made at #5..why he had to withdraw that statement? WTF…lawsuit, my dear..LAWSUIT! Besides, #4..All you have is less than circumstantial…and that's why this write-up is sort of scrappy! Rather than peddle assumptions based on circumstantial evidences, why don't you go ahead and tell us which side you have taken! Pls let's allow these hardworking entertainers some privacy to trash their personal wahala..it's part of the growth process and we all have our own. Cheers though to the Author for further provoking us bigots! I feel u on some points. But you don't expect a grown matured man to give the world details about how everytin seem not to be working. He still owe D'banj some respect and the General public. I think people should give him a break. He is still thinking. LOADING . . .